I used to lay in the grass of my parents backyard and gaze at the huge New Mexico clouds that rolled by. I'd wonder who I was supposed to be in the world and what would on be my path. I would dream of far away places and think how exciting it would be to go and experience foreign cultures. I guess it was probably the silly movies and romance novels that set it off. Seeing the love my parents had for each other, I knew that there was a great love out there in the world for me too. A Mark Antony/Cleopatra kind of love affair...just no one dies in the end. And by God, he was going to romance the hell out of me! Who was my soul mate and how the heck was I going to find him? I had no flippin' clue! What I did know was that I wasn't going to spend my time actively looking for him. He would appear when the time was right...and my great love did appear. He is as wonderful as I thought he would be and more. It was he who suggested that we go on a fun filled romantic trip through Europe. I don't believe I would have gone unless it was with my great love. 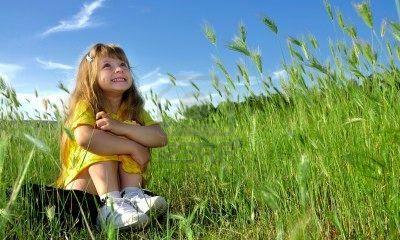 So it brings me back to that little girl who would stare at the sky and wish for amazing adventures and her great love. It's time for our adventure.